Fundraising is available for any and all students. Fundraisers fall into two categories: Individual Account Fundraisers and General Account Fundraisers. Money raised by students during the Individual Account Fundraisers goes directly into that student's account. Money raised during General Account Fundraisers supplements the choir account to help pay other general choir expenses. Business sponsorships, giving them ad space in our concert programs, website and on the t-shirts, is a great way to put a percentage of those funds directly into a student's account! Use the links below every time you shop. It's a simple and automatic way to support our choirs. A percentage of your eligible purchases will go to our general fund. ﻿Smith’s Community Rewards has teamed up with Eisenhower Choir Boosters to help earn money for our choirs. Every time you shop at Smith’s, just present your Rewards card and a percentage of your purchase will be donated to our program. 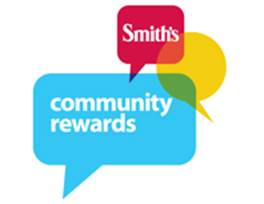 Smith’s requires that your Rewards card be re-enrolled each year. BE SURE TO SIGN UP YOUR REWARDS CARD FOR THIS YEAR and select our organization!! Click here to sign up and connect your Smith's shopping card with the Eisenhower Choir Booster account. Many restaurants will host fundraisers where a certain amount of proceeds will be donated to a specific organization like ours. It is not only a great way to earn money for our cause, but it's a great time to socialize as a group. Choir meals are a wonderful tradition. One of our strongest fundraisers! Last year the choir program broke many records with this fundraiser. This is a great way to put money directly into your account.